How Can Inform ERP Replace Eclipse? Eclipse was the system of choice for wholesale distributors before private equity acquisitions siphoned off resources for modern age technology development. At DDI System, we recognize the opportunity and demand for the next generation system replacing Epicor® Eclipse™. Inform ERP is engineered to meet the operational strengths you rely on in Eclipse, while embedding the digital technology needed today for eCommerce, CRM, reporting and mobility. Join over 1,100 Wholesale Distributors successfully navigating a changing marketplace with our purpose-built platform for the modern distributor. Inform users enjoy 100% US-based technical support, implementation, and technology development. Spend a few no-pressure, no-obligation minutes with one of our Eclipse transition specialists. Explore Inform ERP's robust feature set that eases your transition from Eclipse and ensures a genuine return on investment. Why Would You Switch to Inform ERP? Native CRM and eCommerce mean that these important systems are up and running in days, not months or even years. Inform replaces costly and loosely-connected third-party add-ons with friendly, built-in components. Native Analytics and Advanced Reporting are core services in Inform ERP. Instead of complex add-on software, enjoy real-time dashboards on your home screen, and build sophisticated, appealing reports without an in-house IT staff or developers. Top-rated support is just a phone call or an email away. All of DDI System’s 100 team members are in the US, supporting our users from our four offices in Connecticut, Oregon, New Jersey, and Missouri. DDI System is the leading software provider to distribution markets that compliment Eclipse. Our analysts and developers are focused on how you use Eclipse, matching important workflows and features that Eclipse users are accustomed to. What are We Building with Eclipse User Feedback? Inform’s new sales order system was built for speed. Like Eclipse, order writers can enter quantity first. We spent two years in interface design and usability testing to craft a screen that cuts drill-down and secondary-screen inquiry by 70%. Multi-location inventory, linked PO’s, transfers, and fabrication orders are visible at all times. Interactive screen design displays images, room names, upsell products, quantity breaks, and substitute products without drill-down. Copy & paste new and existing products from many digital sources, including PDF's, email, and spreadsheets. Build large project quotes with a new copy & paste utility that previews and adds new products with images and extended descriptions. Print and email showroom 'Proposal Quotes' and submittals, with rich content including product images, long descriptions, bullet points, color, and professional formatting. Embedded product content displays images and specification sheets during order entry, shared on Inform eCommerce and mobile apps. Emailed quotes and sales orders automatically attach the .PDF to the transaction for version-tracking. 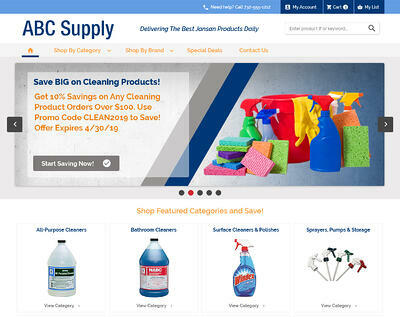 Build new, non-stock products for special orders or projects without leaving the main order entry screen (limited to authorized users). Print documents with list price as well as net sell price. Price Quotes print with or without sales tax. If sales tax is suppressed, print disclaimer message "Not including Sales Tax. Taxes will be added to the Sale." Redesigned Item-group creation supports an all-keyboard approach that Eclipse users are accustomed to. We added item-group ‘Lot’ pricing to adjust a groups sell price. and proportionally change the prices of every group product. 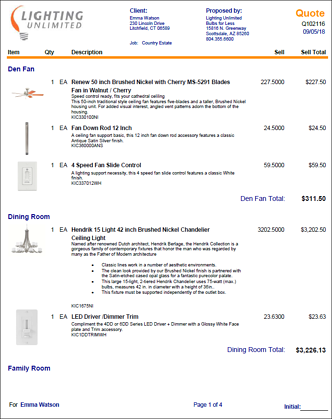 Convert quote items to sales order items by flexible filters, including all, line selection, or room / fixture name selection. Authorized users view line-item and company-wide rebated cost / margin as well as selling cost / margin. Credit issues are displayed in a warning mode prior to beginning a sales order or counter sale. Line-item scheduling closely matches Eclipse’s scheduling workflow. From user input, we added a handy ‘copy schedule’ button to quickly replicate a previous lines delivery rules. 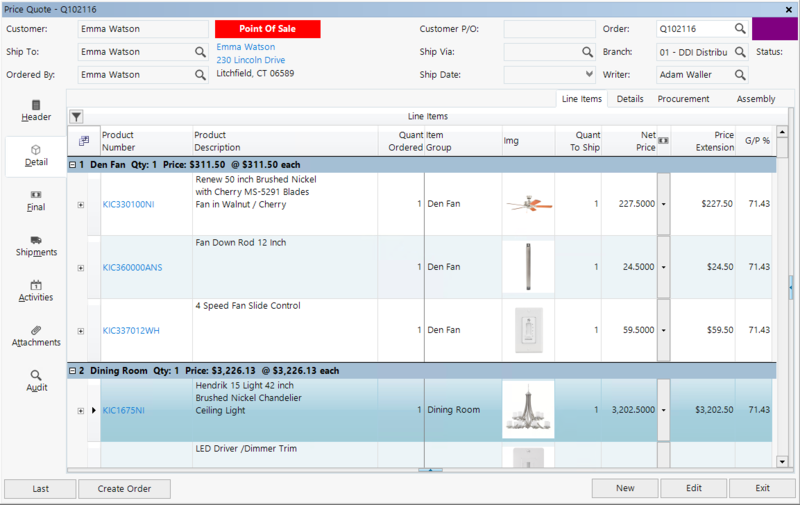 Inform supports line-item procurement without leaving the main order entry screen. Add unlimited customer ship to locations, not additional customer accounts, with appropriate pricing, tax, terms, credit limit, liens, sales history, salesperson and more. Added pieces, pallets, packages, cartons, and lengths to the shipping screen and delivery documents. Direct integration between Inform sales orders and UPS WorldShip, FedEx Ship Manager, and USPS. 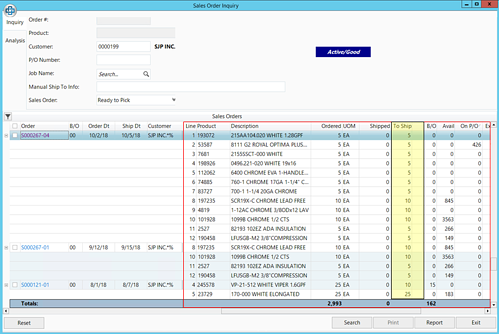 New 'Ready-to-Pick' sales order inquiry shows all sales orders (and line-item details) containing products ready to ship now. All customer returns default to 'Inspect' status, enabling review before inventory disposition is determined. Provide a user-selected "RGA Code" and workflow for Stock, Inspect, Vendor, Warranty, and Discard. Allow invoice edit workflow within the current accounting period. Strengthen Inform's 'Job system' by explicitly linking Jobs to a customer ship to. This link ensures that every Job order has correct Job-specific pricing, costing, purchase order number, credit limit, lien tracking, tax code, ship via, and sales analysis. Enhance credit management with a ship via based credit-hold for certain customers. Every order modification then initiates a credit hold evaluation. Adjust Sales Order Ship-to Address without changing the Ship-to of record. Retain all analysis data using the original ship to ID. We built Inform’s outstanding demand management system in close consultation with wholesale distribution inventory expert Jon Schreibfeder. Effective inventory management includes smart forecasting to identify sporadic, recurring, and unusual demand. Inform automatically suggests forecast formulas and ROQ’s for normal and seasonal products, with editable rules for limiting purchasing for out-of-season and newly inactive products. Centralized warehouse distributors benefit from smarter multi-location procurement. Stock transfers are automatically created with a multi-location PO, ensuring that purchases intended for branch replenishment are immediately reserved and monitored. "Remove Customer Demand" routine adjusts purchase forecast demand by subtracting the product demand of a specified lost customer. Product cost override from sales orders are preserved through a stock vendor PO. 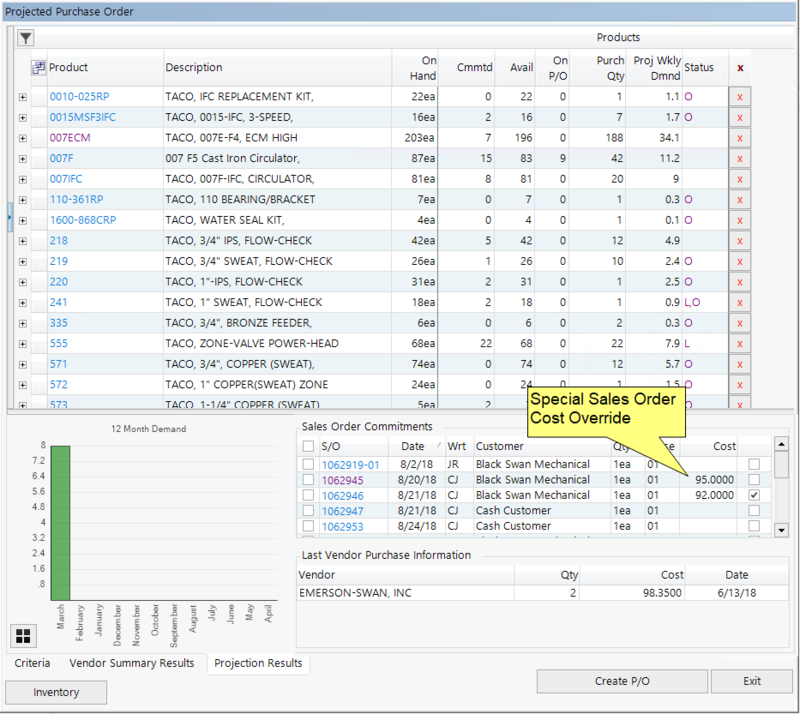 Purchaser views and may select which special sales order cost to use on the purchase order line. Send PO Requisition notifications only to the designated buyer(s) for the requested product. Filter emergency procurement list by buyer. For edited POs, provide option to print only newly-added products. Easily update a product's Primary Vendor to reorganize the preferred vendor for groups of products. Product Lifecycle Management System (2019 Roadmap). Automated Cycle Count 'Pause Until Date' to accommodate staff vacations or other out of office situations. Reevaluate automatic branch replenishment immediately after a transfer or purchase order receiving. Inform’s built-in pivot table Analytics gives great insight into sales and inventory performance in a simple drag and drop interface. Build an unlimited number of analytical views for every level of user. Dashboard KPI's provide a high level view of key inventory and sales metrics. Built-in pivot table Analytics gives great insight in a simple drag and drop interface. Build an unlimited number of analytical views for every level of user. Advanced Report Writer enables intermediate and advanced users to create graphically rich reports. Access complex data with joined files and dynamic date ranges, and schedule automated delivery of PDF, Excel, CDV, and HTML formatted reports. Rebate Visibility. Executive performance screens have new rows to display rebated COGS and GP% along with standard COGS and GP%. Ready-to-ship order inquiry displays backordered products that were recently received and ready for customer follow-up. Enhancements to CRM Quoted Opportunity Pipeline. Intuitive and flexible inquiry screens replace the Eclipse Job Queues. Inform’s WMS Progress Screens add improved navigation and filtering. Simultaneous, multi-user stock receiving and split order picking. Optimized put-away determines the optimal bin and overflow bins based on bin availability, proximity, and capacity. Drag and drop WMS Job Dispatch screen is intuitive and easy to use. New Return Putaway Bin logic enforces quarantining a returned product for inspection and disposition. New visibility for printed and internal line item notes on the WMS terminal to insure that the picker sees the notes. Add a user blind copy (BCC) email address to customer and vendors master file. Email a blind copy of any document sent to a customer or vendor. Add GP / Multiplier / Net price calculator to all pricing input fields. Chase™ Bank Positive Pay AP checks workflow. Specify multiple General Ledger accounts in the Vendor file to streamline AP invoice entry for vendors that frequently require more complex GL distributions. Cash receipts screen enhanced to add Tax, Freight and Misc Charge columns. Running balances in various booking and financial reporting screens.